Groundhogs are also known as woodchucks or the “Whistle Pig” due to the high pitch noise they can make. 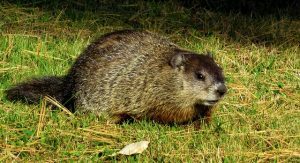 Groundhog removal in Indianapolis can be difficult because they hibernate in the winter months and have their young in the late spring which is why you need professional assistance. They usually have two to five young at a time. Groundhogs burrow into the ground, making fairly large tunnels and dens. Their tunnels and dens may be as much as five feet underground. 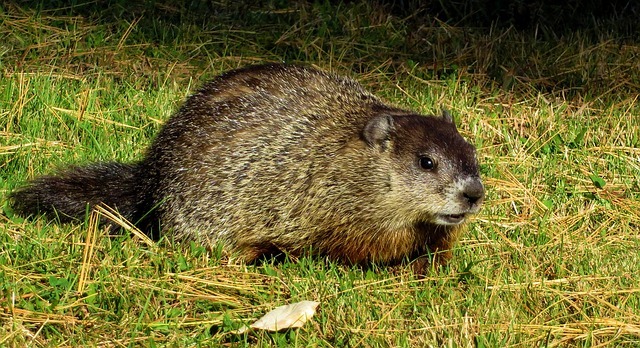 Groundhogs under a home can completely undermine a homes foundation. Their dens and tunnels can also be a disaster for heavy farm machinery that runs over them. Although groundhogs are related to squirrels, groundhogs are much larger and may weight from 5 to 8 pounds.